This will cost $80.50 if you want it express (within a day), if you do not want express i think it will cost less than $30, submission before lunch, collection next day after 2.30pm. Alternatively, step 1 and 2 can be done by the Notary Public, it will take around 3 working days. 3) The declaration letter from (1) needs to be endorsed by Ministry of Foreign Affairs, located at Tanglin area, near Australian embassy, Botanical Garden etc. 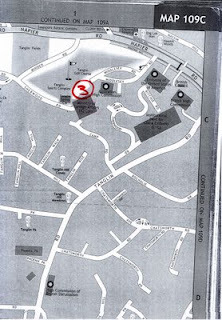 Better to take taxi to go there, it will cost around $5.80 from City Hall to go there. The endorsement will cost $10 payment by nets or cashcard only. 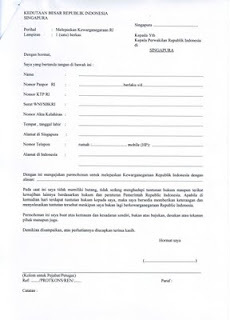 Do not sign first, as you need to sign on the stamp duty, you can buy stamp duty it's $2 from KBRI. It will take 5 working days to complete. When it's done, you can go to ICA to take your oath. Once it's done, you can apply your passport right away, it will take around 1 week less to get your 'red' passport. Thanks for the person who had posted this information. Hi Sista, I have made it a point to drop a comment to thank you for your in-depth guide on this subject matter. I am sure it has helped hundreds of readers in need of this advice. Law firm person who attended to my case, Ms Donna is caring and patient, thanks a million for your great effort in all. Just wanna check with you, when you submit to KBRI, do they immediately asked to surrender your Passport RI? On you surrender at the time of collection? Reason being I need to travel in between and need to be sure about this. @AI: yes, u will need to surrender ur passport when u submit to KBRI. maybe u can ask for special permission to keep ur passport for certain period first. How about KTP ? Did u submit your KTP to KBRI ? Did they took your KTP ? The submission to Indonesian embassy met with slight issue at first that the officer insisted in original KTP even the expired one. Since I don't have it she asked to make report police in Indonesia. 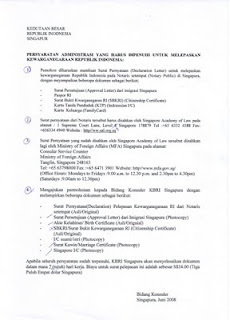 After going back and forth she allowed me to report police in Singapore (imperative to have lost it in Spore instead) and ask to write "Surat Pernyataan" to explain that and indemnify the embassy. The embassy has the template, just wrote on blank piece of A4 paper and DO NOT sign first until they give you a stamp ($2). Hmm that's weird.. last time I also didnt have any KTP but they dun mind, they just process accordingly hehe.. it seems they are a bit stricter now. Curious, do they make any notation on your Akte Kelahiran after renunciation? hi P, after renounciation? dun think so, it's during renounciation, declared in the declaration letter by notary public. 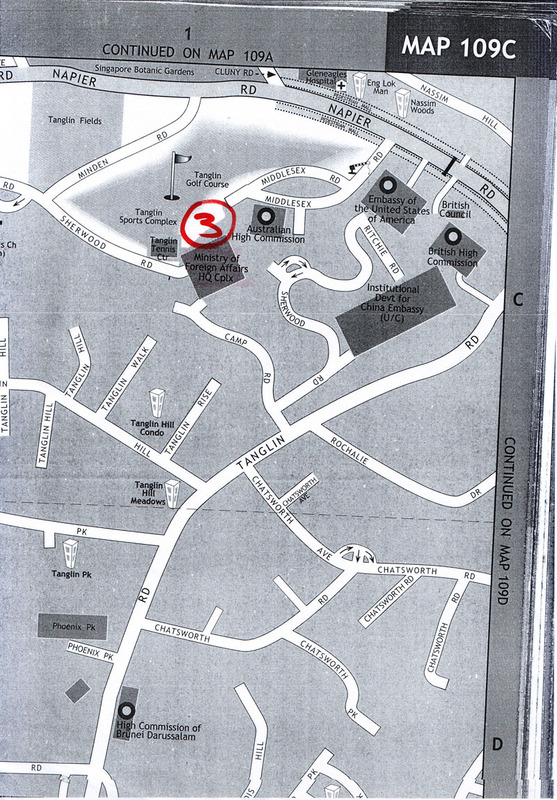 When we go to the Indo embassy, do we need to make appointment or can we just walk-in? Thank you! Hi sista, thank you for the detail. I have been looking for this information for long. What I want to check, I dont have family card "kartu keluarga" as family with my hubby n son. 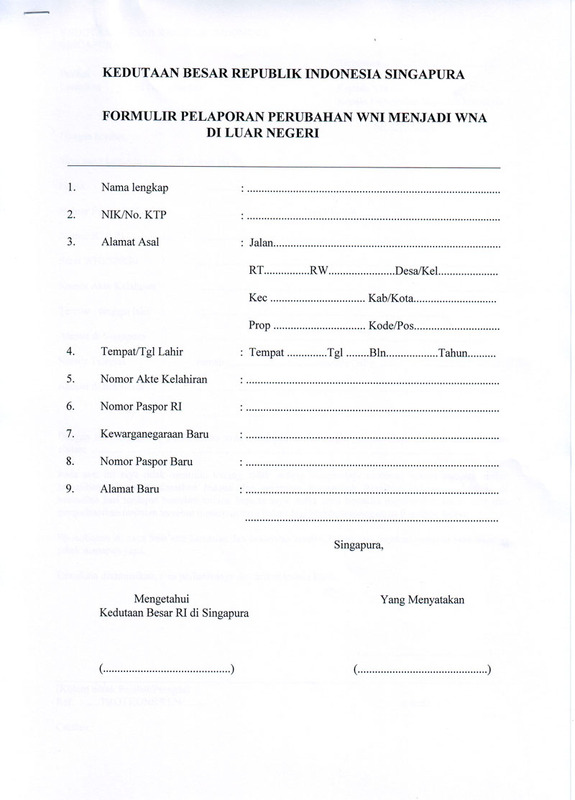 My name still registered under my parents "kartu keluarga" even though I have been married and stay in sgp for 10 years. Is it necessary to bring the one that still under my parents? Or can I declare dont have? Coz it is too troublesome to get. My parents put all our legal document in bank deposit in my hometown and they stay with me in sgp for about 5 years. They very seldom going back. Hi Maya, hmm.. I'm not sure about that.. maybe u can check with Indonesian embassy asking if u dun have kk whether u can just declare it on the declaration letter. Quite frustrating calling them.. tried more than 20x no body pick up.. anyway I called the notary and they told me it is a must to have KK. No need original, copy will do. They said they encounter recently that even though it has been declared lost/dont have in declaration letter, KBRI insist to have it. Coz if it is lost, still can ask a copy from "kelurahan". So they insist must have a copy. Same case with KTP. yea it's always difficult to call indo embassy lol... it's normal. wah it's more strict now..
hope u can find a copy of ur kk! HI Maya, so what happened in the end when you did not have the KK? I have the same case as you. do they still asked for it? sigh.. i have been staying here my whole life..
Hi Rechan, did you manage to solve the KK problem? But my husband is a Singaporean, not sure it will be problem for me..
Hi sis, just check with you, what was your reason to renunciation Indonesian citizenship? anyway, i have already renounce my citizenship and wait for embassy to return back all docs to me soon. I do not have a KTP for long time. Even when I applied for passport 2 years ago at KBRI, they did not insist on it. Will KBRI insist on having it for renounciation? Will it be alright if I just declare it on the declaration letter? Btw, what do you right in the reason for renounciation space? hi AJ-71, the last time it's ok not to have KTP, think they didnt insist on it, just need to declare it on the declaration letter, but im not sure now. where's that renounciation reason? haha couldn't remember writing it. Hi, Aj-71. 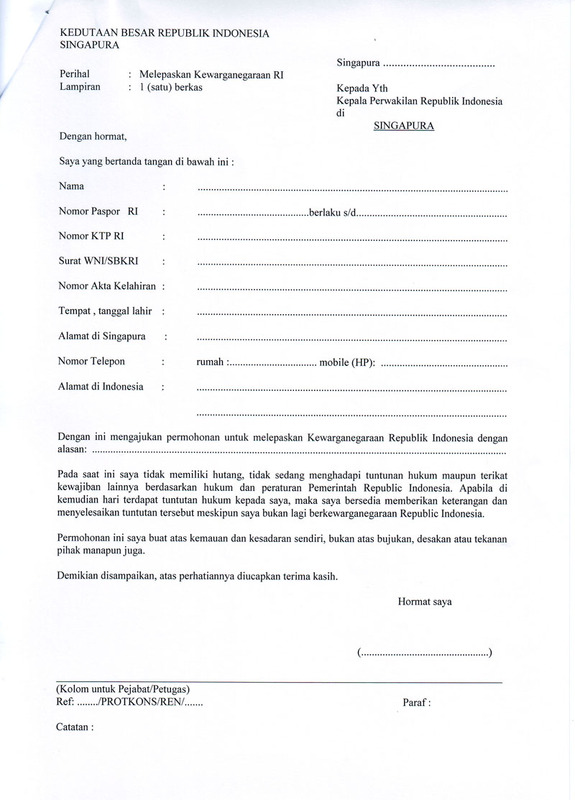 How's your experience with KBRI in renouncing indonesian citizenship. I am going to renounce mine. What is your email address, mine is halayudha@gmail.com. Thanks. what happen if I owned a land and PT in indo but now need to change citizenship? do we need to change ownership bf or can we change after? i think it's best to change ownershi before changing to SC. where can i get the the form from KBRI for renouncing the citizenship? Thank you for the information. Is this procedure still applicable now? I suppose so but im not too sure, u can check on that. This post is valid as of 9 June 2011. Anyone went to Indonesian embassy recently to renounce Indonesia Citizenship? Do they still insist on KTP or Singapore Police Report for the KTP? 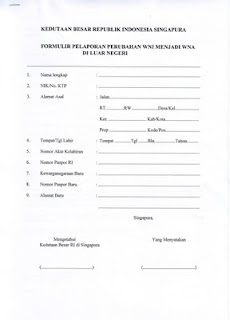 I have the photocopy of expired KTP (not original), not sure if this will help. 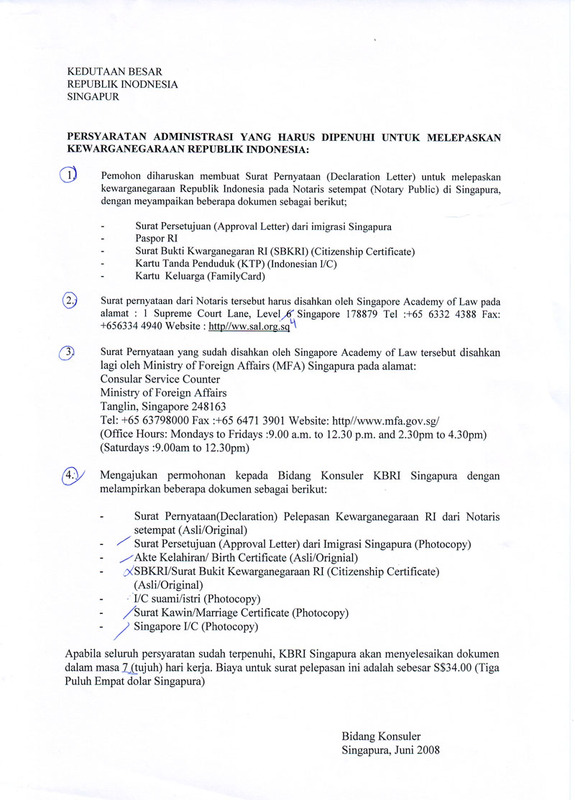 Can we apply for Singapore Passport before Oath? Afraid if it takes too long. Thanks again for the great quality web blog posts that you provide. You're writing skills are amazing and I'll be coming back for updates. Hi Leona, do you have the latest update if these document required are still valid? Do they still need expired KTP or KK original? Thanks in advance...I'm so glad someone posted this info as I can't find any info in Kbri website. Thanks again! Thanks Sista. I tried calling the Embassy many times on the procedures on what to do but not once they pick up my call -.-” After many years, still not improve in this. Your this post did gave me a lot of info before I go to Indonesian embassy. Hi, sorry i just noticed your comment, i can't really remember since it's more than 4 years ago hehe.. but it was quite fast.. think once u surrender your Indonesian passport and settle at ICA, you can straight away apply your passport. I remember getting my passport first then the citizenship cert.